Planning a wedding can be a time consuming and daunting task, especially if you don’t have the right contacts and resources. One of the biggest tasks when it comes to planning a wedding is selecting a venue that suits your budget, provides superior service, caters exceptional meals and is conveniently located. Combining all these factors, the Deshanee Reception Hall in Ratnapura has for more than a decade succeed in making the wedding dreams of thousands of couples come true. One of the largest reception halls in Sri Lanka’s gem country Deshanee was an accidental brainchild of Seetha Rathnayake, the wife of a successful gem merchant. “After my three children had grown and finished their schooling, they moved overseas for further studies and I found myself with a lot of time on my hands. This also meant that I could move back to our hometown in Ratnapura instead of staying in Colombo. It was at this time that many people from our area would talk to me about the lack of a good quality reception hall for weddings and other functions. We had an empty building at the time which my husband then helped me to convert in to a modern reception hall. We named it after our eldest daughter and that’s how it all started,” said Deshanee’s founder. 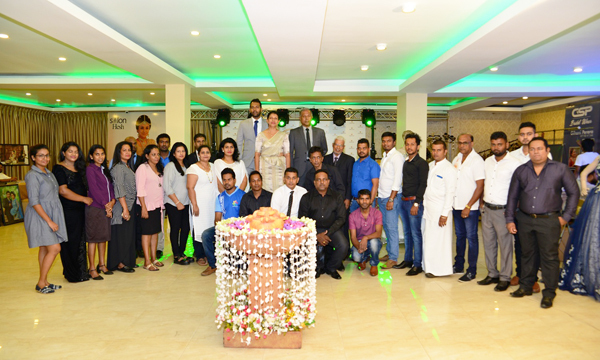 In commemoration of the reception hall’s 10th anniversary Deshanee brought together other wedding related suppliers for the largest wedding show in Ratnapura which was held on the 24th of February 2019. The show featured more than 30 florists, beauticians, photographers and videographers, dress designers, traditional attire suppliers and so much more. The wedding exhibition was organized free of charge by Deshanee with no stall charges rendered to stall holders or no entrance ticket charged from audiences. “Most of the vendors featured at the wedding fair started off as small home businesses with me 10 years ago. This was my way of giving back to them for supporting me throughout the years. We have not even charged them for advertising as I want to highlight them”, Mrs. Rathnayake added. The highly successful nature of the exhibition has prompted Deshanee to consider this an annual event. Ten chosen couples who attended the wedding fair received discounts when booking the Deshanee Reception Hall for their weddings while other vendors also provided attractive offers for lucky couples. Deshanee is well known in the Ratnapura district for its high quality and affordable menus, large capacity seating and exceptional service standards. The second generation of the family have now engaged themselves with the family business, expanding their offering to two reception halls and refurbishing the first hall to meet international standards. The halls can now accommodate up to 600 guests per sitting but is also available for smaller corporate functions, birthday parties and family gatherings. 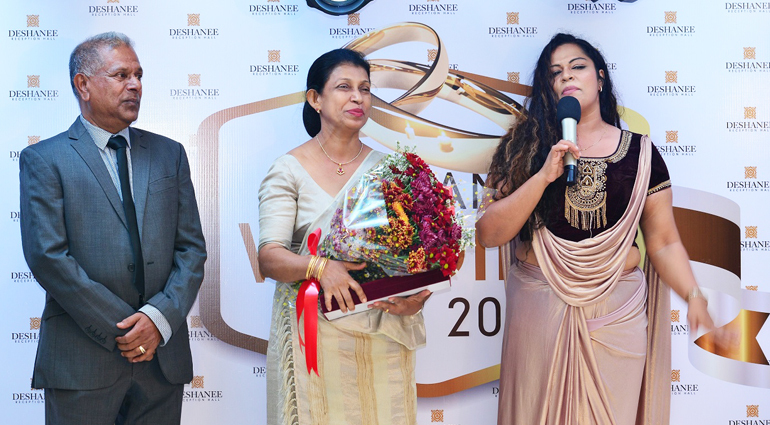 Mrs.Rathnayake remains one of the most well-known philanthropist in the area extending her business to the lesser fortunate by providing the halls and food at nominal rates for those who may not be able to afford a large ceremony. In celebration of the tenth anniversary Deshanee also recently opened up a family restaurant in the premises serving delectable cuisines from around the world. Mrs.Rathnayake explains that they do not serve alcohol at the restaurant as they want it to remain a place where families can come together and also do not serve beef and pork as a matter of principle and to accommodate those of all ethnicities. A staff of 20 manage the operations and Deshanee also ensures that supplies come from the local producers. For more information please contact the Deshanee Reception Hall on 045-2222641.